Today we’re doing a relatively simple food fix and something that should work well with the kids. 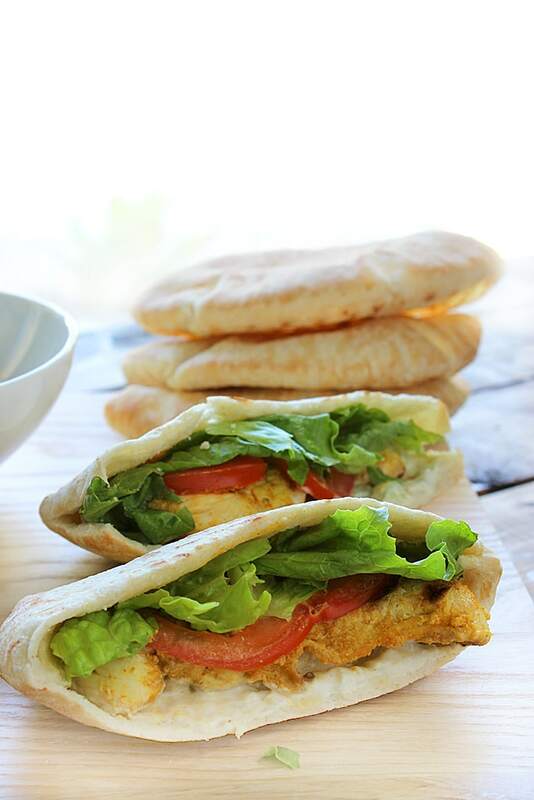 Think of this as a healthier alternative to fast food or frozen chicken nuggets for the little ones. They’re pretty crispy for being baked and versatile enough seasoning wise. 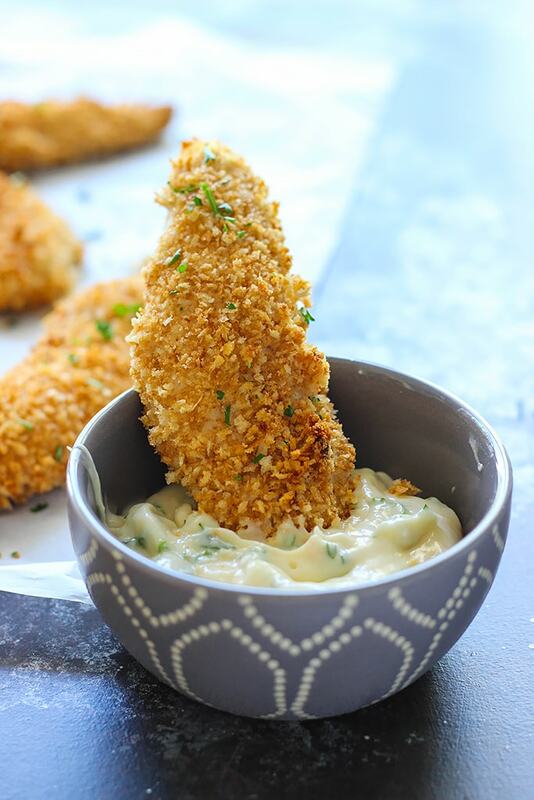 So today we’re going to be making some oven-baked buttermilk chicken strips which are basically breaded chicken tenders marinated in a buttermilk mixture. I’ve had some moderate success with this technique of breading and baking in the oven in the past. I made a Parmesan and herb crusted baked chicken that turned out pretty good last year. And it works for seafood as well like this panko crusted tilapia. But my main gripe about baking stuff was the uneven browning, particularly for chicken. So today we’ll be addressing that with a little hack I didn’t do last year, which was to toast the bread crumbs prior to breading for an even browning. I’m pretty happy with the results. The toasting is done without any oil in the pan until it’s evenly browned, so it’s still healthy. Pretty nice hack if you ask me. Let’s begin! 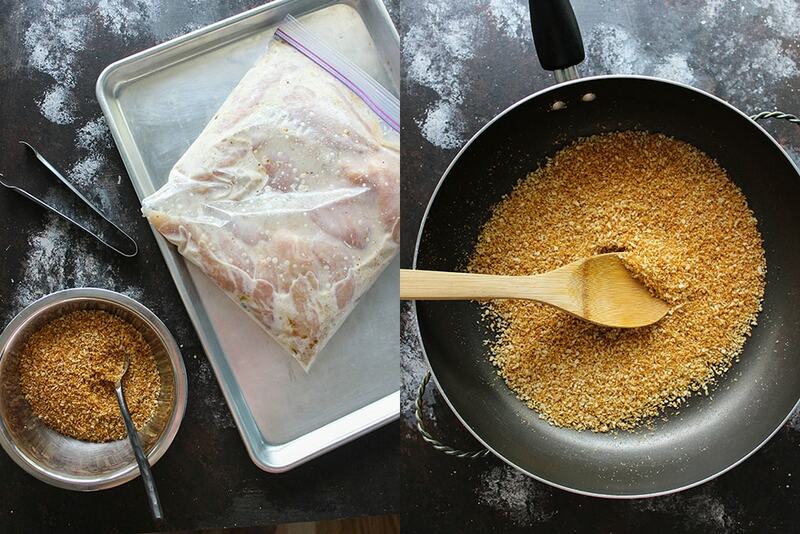 Start by defrosting your chicken tenders for the buttermilk marination. I used about three pounds but feel free to scale down if you don’t have that many mouths to feed. I figured if you’re going to be doing all that breading, might as well do it in a big batch and since we’re baking it all anyways, the huge baking sheets can accommodate plenty. The marinade is just some buttermilk mixed with a little vegetable oil, some garlic, ground cumin, maple syrup and salt and pepper to tastes. It’s a technique from Nigella Lawson I wanted to try out. She used this with drumsticks which should be marinated overnight to tenderize them more. 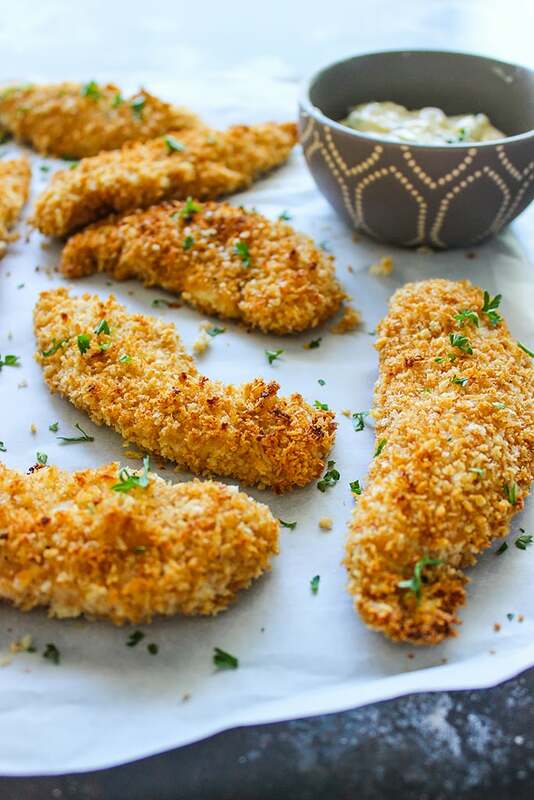 But since we’re dealing with chicken tenders, we can significantly reduce the marination time. 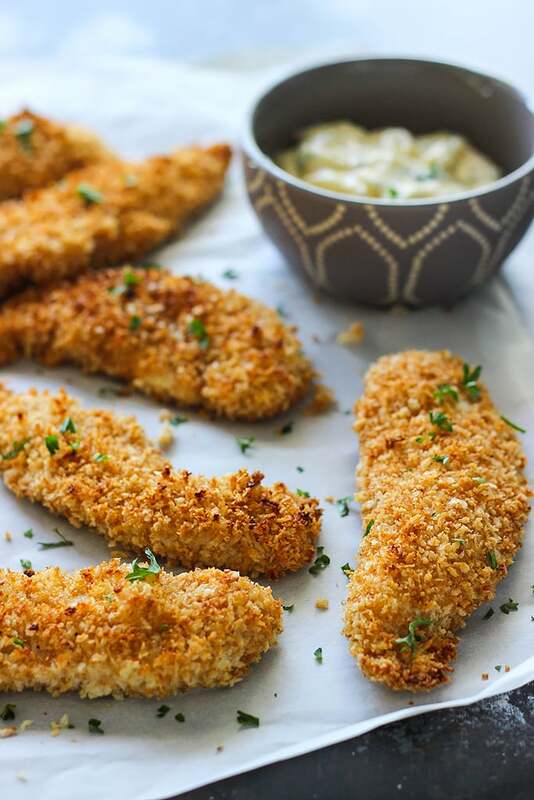 Chicken tenders don’t need as much tenderizing! Let it marinate in the fridge for 30 minutes. While you’re doing this, we can start toasting the bread crumbs. 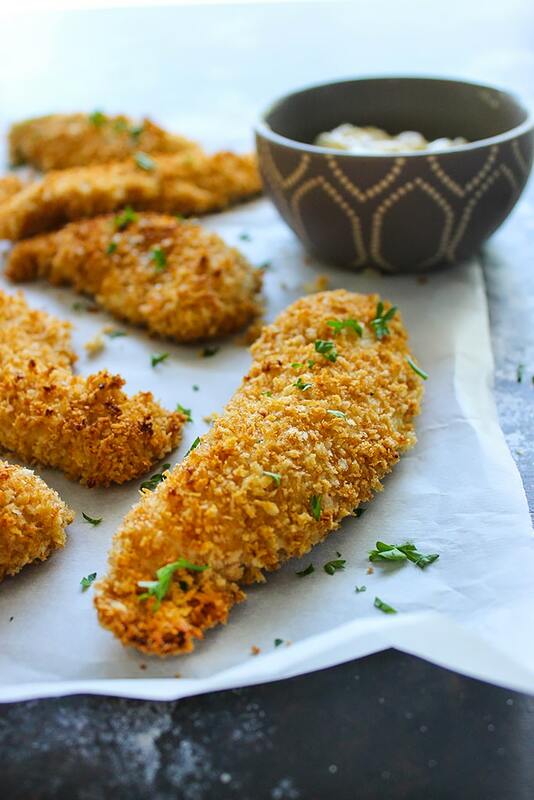 I used panko bread crumbs because they’re flakier but you can also use Italian bread crumbs. If you’re curious about panko, you can find it in most grocery stores right next to the Italian bread crumbs. The toasting of the bread crumbs should take about 5 minutes You don’t really need any oil for this, just a hot pan. So start doing this over medium high heat. It’ll take awhile for them to start browning and you won’t notice anything the first few minutes. But once you notice some browning on the bottom of the pan, start stirring it up to even up the browning and don’t stop. After this it’ll brown super, super fast so you’ll need to be on your game. Make sure to stir constantly to avoid some bread crumbs being burnt. You should end up with a relatively even browning but there will be some stubborn pale strays. Once you’re done browning the bread crumbs, remove them from the pan because they will keep browning with the residual heat. Season the bread crumbs with salt and pepper to taste. 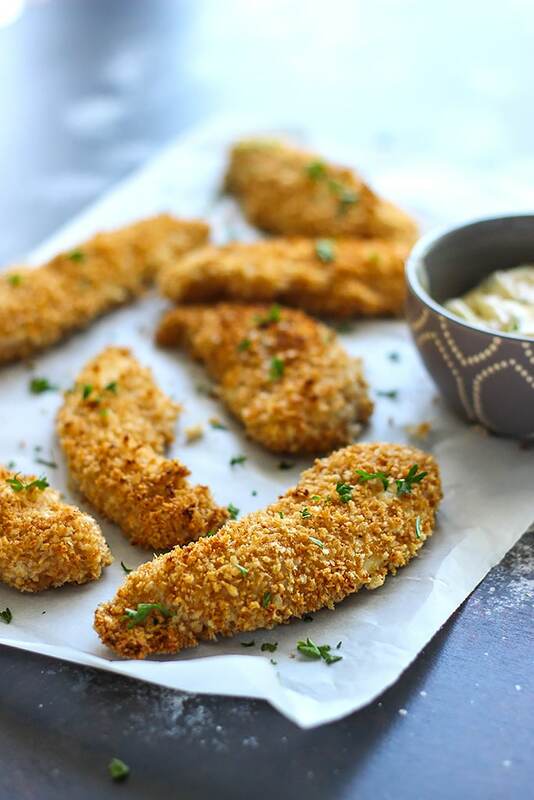 Now you can opt to keep it simple with just a basic seasoned bread crumb mixture, or you can go crazy adding in spices like smoked paprika, garlic powder, onion powder or whatever seasoning your kids like. Now we do the breading. Use some tongs to remove the chicken tenders from the marinade and shake off any excess marinade. 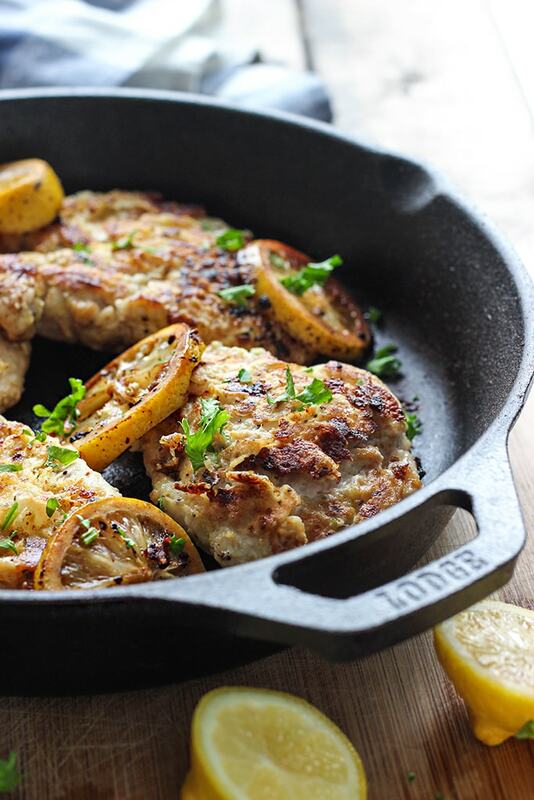 You’ll want to shake the excess off so you don’t get the bread crumbs soggy. They won’t stick on as well. Toss them in the bowl of browned bread crumbs and heap the bread crumbs onto them with a spoon. I found it easier to pat in any excess bread crumbs with the back of the spoon. Between the tongs and spoon, your hands won’t ever have to get dirty! I kid you not. No messy battered hands. The breading took up the majority of the prep stage, but again, if you decide to downsize for a smaller batch, it shouldn’t take too long at all. Line them up on a greased baking sheet and spray them with some olive oil spray. I personally felt the spraying didn’t do much but I did it anyway just in case. It took me about two baking sheets for the entire three pounds of chicken tenders and I ended up with about 20 chicken tenders. Let them bake for 15 minutes or until the chicken is cooked through. Cut one in half to check if you’re not sure. Once they’re out of the oven, let them sit awhile to settle. This step is important because fresh from the oven, the breading will still be hot and steamy and will fly off the chicken. It needs time to cool down and crisp up. 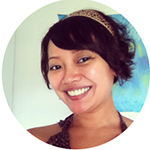 Hi Farah! 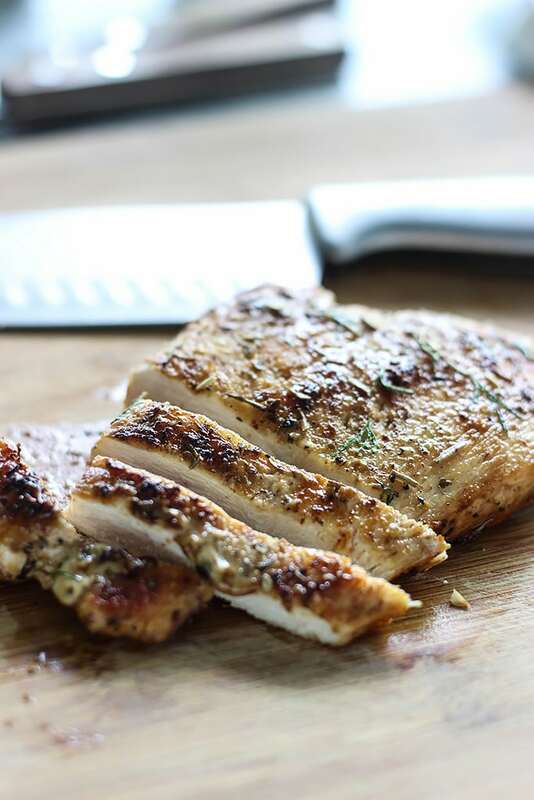 I started “oven frying” chicken and potatoes when my kids we little – didn’t think they needed all the oil/grease. I always dry roast/toast breadcrumbs, coconut and nuts on top of the stove, much easier to keep an eye on! Heya Dorothy! I used to toast my coconut flakes a lot in the past for a beef dish I sometimes make but never really put two and two together…that I could do it with bread crumbs too. 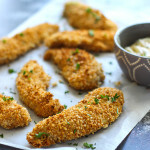 Someone from a reddit comment in a recipe of mine that was linked there mentioned that the bread crumbs could have been pre-toasted for the old jalapeno popper chicken I made awhile back so I tucked that info away. It works! What are your measurements for your honey mustard may dip? Try 1/2 cup mayo, 2 tablespoons mustard of your choice and 2 tablespoons honey. Do a taste test and add more mustard/honey to your liking! Hi Farah! I am so happy to have found you! I just finished making your Salmon honey garlic recipe the other night. My family LOVED it! 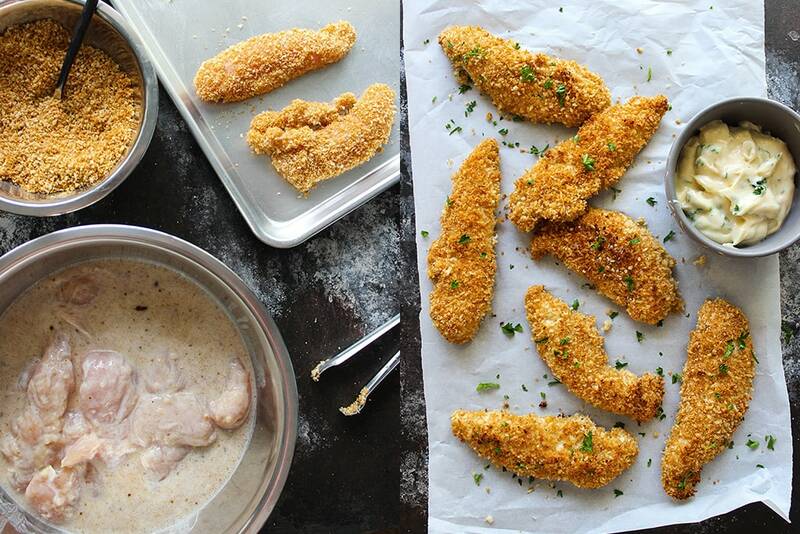 So tonight it’s your “Oven Baked Buttermilk Chicken Strips.” Looks super easy, and delish! Again, I am so happy to have found you!